When I first met Chef Alan Roettinger at Portland VegFest last year, I was struck by his commanding presence. Maybe I was simply awed by his stature, or maybe it was the white chef’s jacket—(they have that effect on me). But Chef Alan also reminded me of myself twenty-something years ago. Those first few years of going to veg conferences surrounded by like-minded people and all kinds of delicious vegan food made me feel very much like a kid let loose in a candy store. Perhaps he felt the same way. That sounded impressive and challenging to me, but even though all of the dishes were complex in flavor, they were also a snap to prepare! I’ve been eating a lot of pink grapefruit lately, but mainly for breakfast. So finding a recipe for grapefruit salad was a real treat! 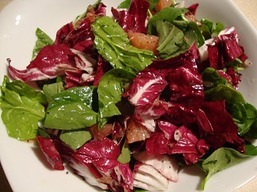 Campari-Braised Radicchio Salad with Grapefruit sounded like a winner to me, not only because of the grapefruit, but for its two leafy vegetables that are seldom-enjoyed at my house—radicchio and watercress, and also for relying more on Campari than oil for its dressing. (It even comes with ideas for what to do with the leftover Campari.) The salad was alive color and bursting with a mingling of earthy and citrusy flavors! 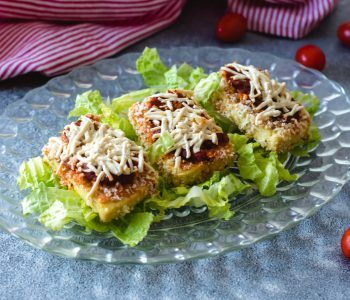 I love balsamic, and I have a pantry filled with several varieties, so I’m always thrilled to find new ways to use them. 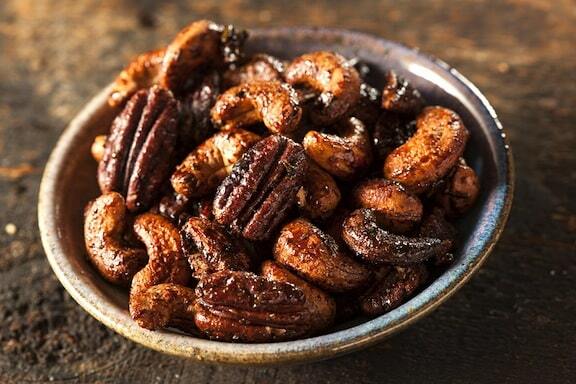 Balsamic Mushrooms is a mushroom-lover’s delight, blending together the woodsy flavor of baby bellas, the fruity acidity of balsamic, and the sweetness of agave. 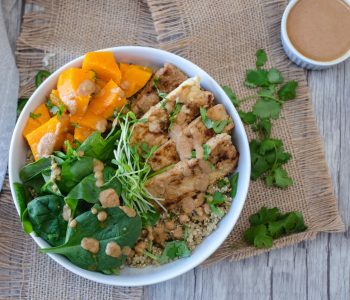 Talk about a delicious way to get your greens on! Orecchiette with Herb Sauce is one of those dishes I would never have thought of creating myself. The sauce is sort of like a pesto, but not really (there are no pine nuts, basil, or cheese in it). But what you do have is a rich, creamy, green sauce made from baby spinach, watercress, fresh tarragon, and flax oil, that just kind of clings lovingly to the pasta and fills your taste buds with joy. With raisins, apricots, blueberries, cranberries, cherries, and strawberries, the recipe for Dried Fruit Compote had more fruits in it than you can shake a stick at! I was able to find everything but dried strawberries, so I substituted blackberries. And in one of my most classic perimenopausal moments, my newly purchased dried apricots disappeared within minutes after taking them out of my shopping bag. (I still haven’t found them!) I had a couple of dried apricots in the pantry and some prunes, so I used those instead. Delicately flavored with tangerine and served over Purely Decadent Vanilla Bean Coconut Milk Ice Cream, this dessert was a delectable indulgence. 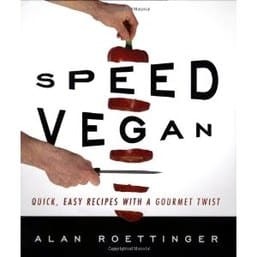 True to the book’s title, all of the recipes in Speed Vegan came together in no time and went from prep to table in less than thirty minutes, at what I consider, lightning-fast speed. The dishes were all exceedingly flavorful, which will give your dinner guests the impression that you slaved for hours in the kitchen. And why would you want to spoil that fantasy? I loved the Balsamic Mushrooms so much, I wanted to share them with you. So here is the recipe from Speed Vegan* excerpted by arrangement with Book Publishing Company. Copyright © 2010. Wash the mushrooms well and pat them dry. Quarter them, taking care to keep the stems attached. Heat the oil in a large pan over high heat. Add the shallots and cook for about 2 minutes, stirring constantly. Add the mushrooms and stir well. Cover the pan and cook until the mushrooms begin to release their liquid, about 1 minutes. Remove the cover and cook until the liquid is absorbed, about 5 minutes. Add the vinegar, agave nectar, thyme, salt, and pepper. Cook and stir for 1 to 2 minutes, until the mushrooms are lightly glazed with a smooth sauce. Serve at once. Gail Davis is the author of So Now What Do I Eat? The Complete Guide to Vegetarian Convenience Foods, Vegetarian Food for Thought,* and scores of magazine and newspaper articles on healthy living. 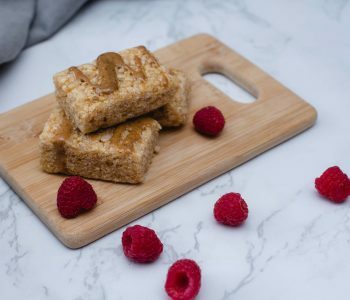 She is also a speaker, nutritional consultant, and personal food coach, and has taught thousands of eager epicureans how to incorporate vegan cuisine into their lifestyle. She shares her favorite products, books, and recipes on her blog, Hungry Vegan.